Police are investigating a stabbing incident in Boston early this morning (Monday). A police cordon was in place near the taxi rank at Market Place after the attack. The victim received a stab wound to his arm and was rushed to Pilgrim Hospital in the town. 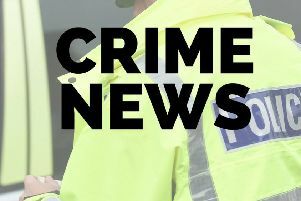 Lincolnshire Police are appealing to anyone who may have information on the incident to contact them. A spokesman said: “We were called at 12.14am today (August 6), to the Market Place, Boston, to a report of an assault. A man had received a stab wound to his arm. “He was taken to Pilgrim Hospital with injuries which were not thought to be life-threatening.